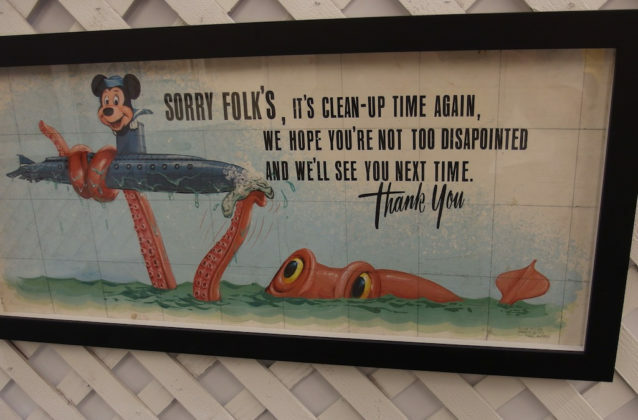 There is a pleasant nightmare that is unique to collectors. 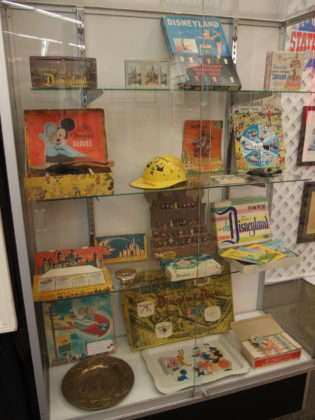 Every collection is small at the beginning. 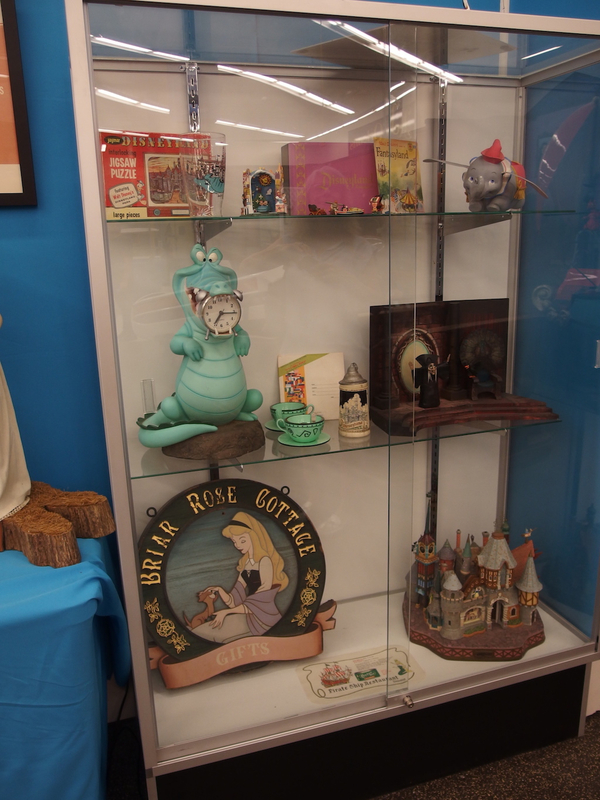 But what can they do when the collection outgrows them? 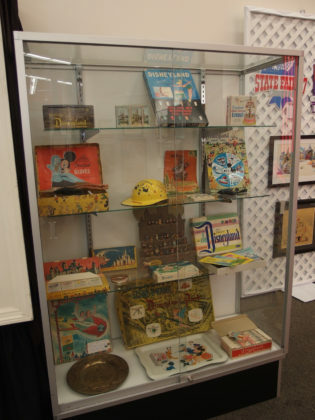 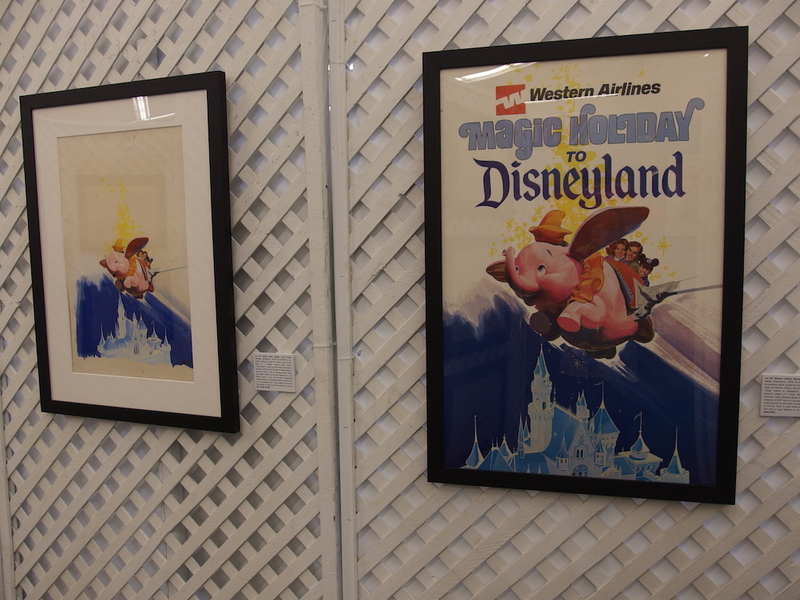 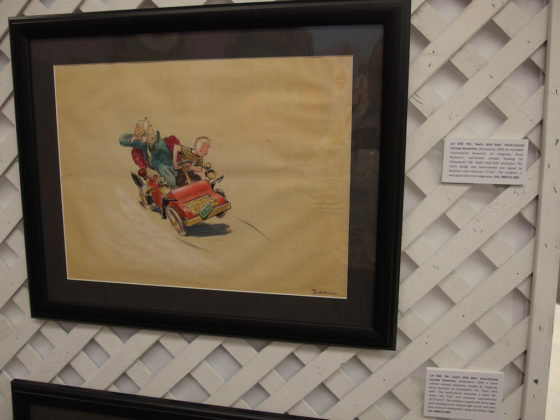 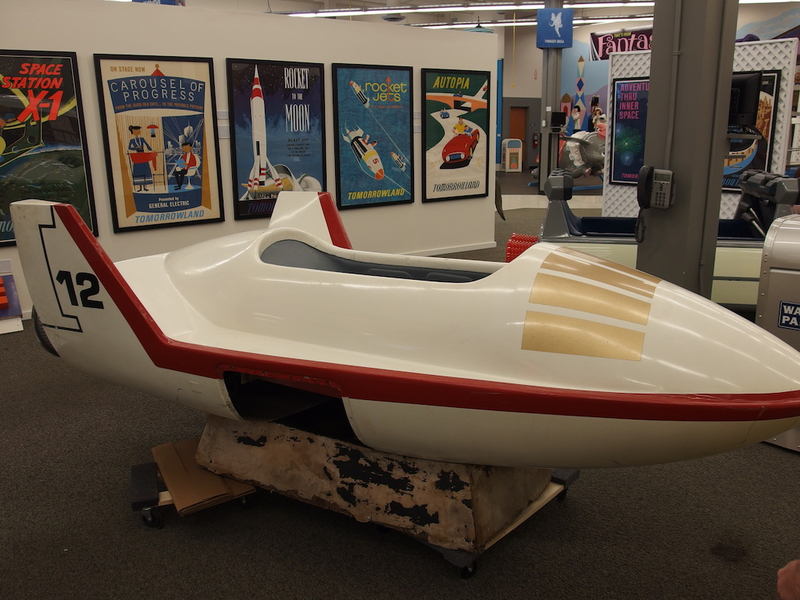 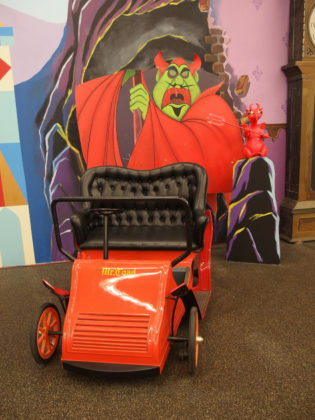 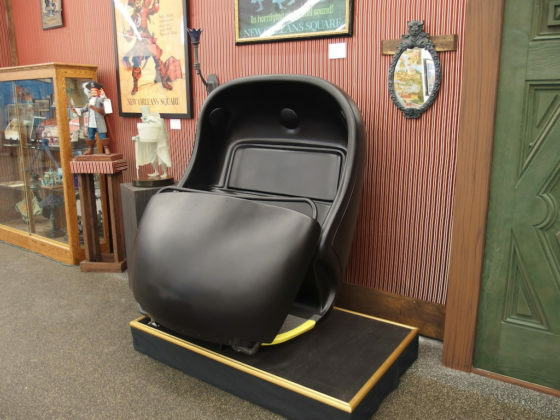 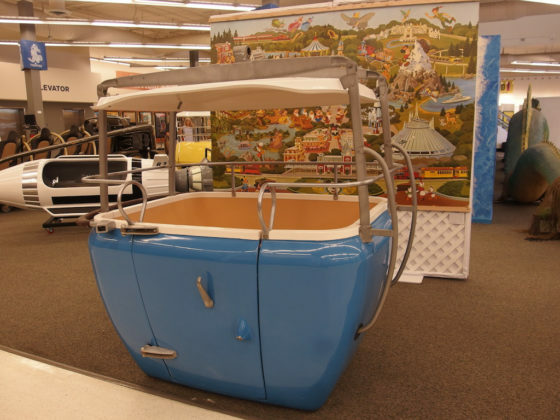 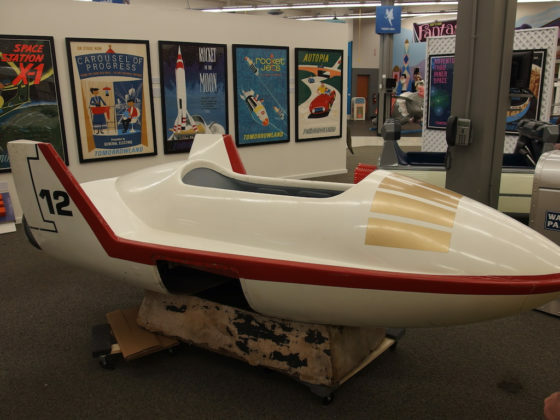 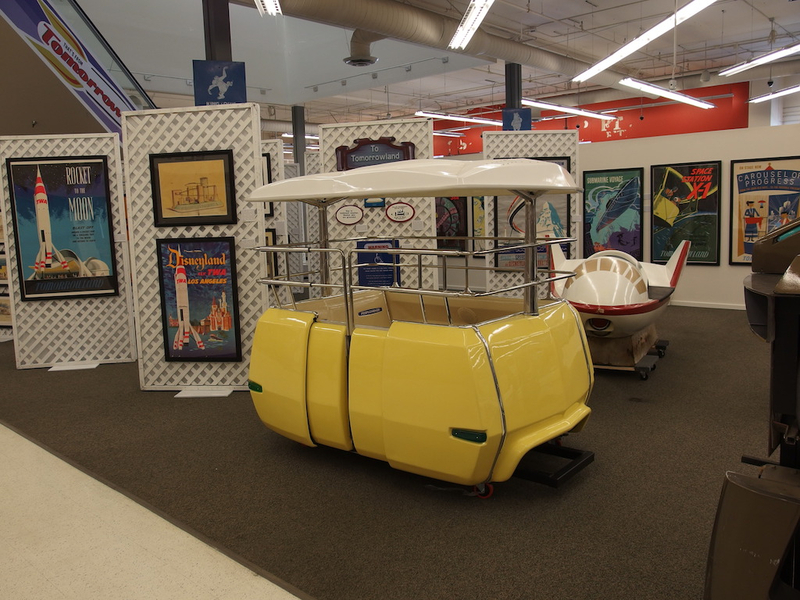 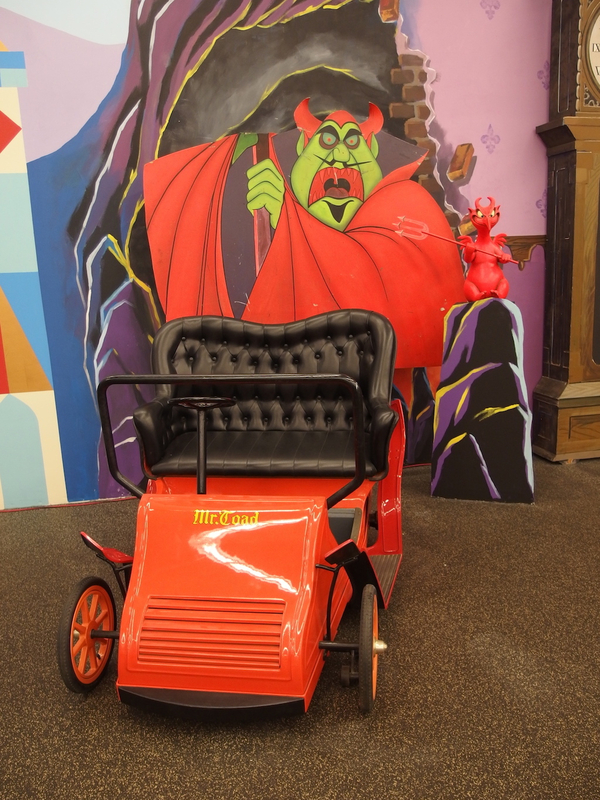 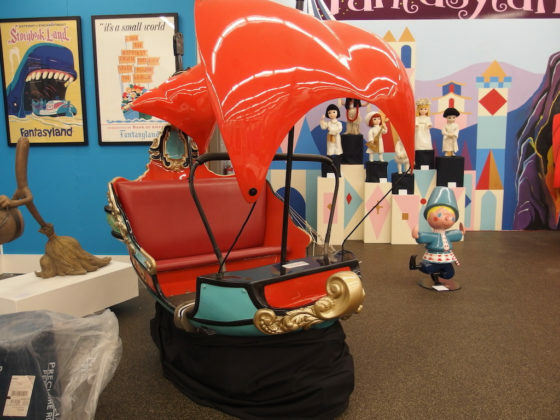 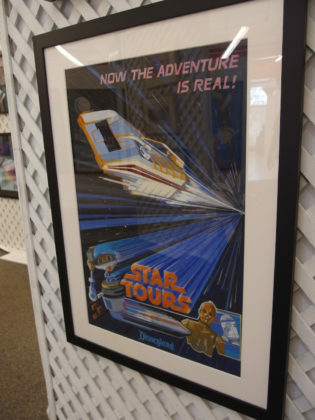 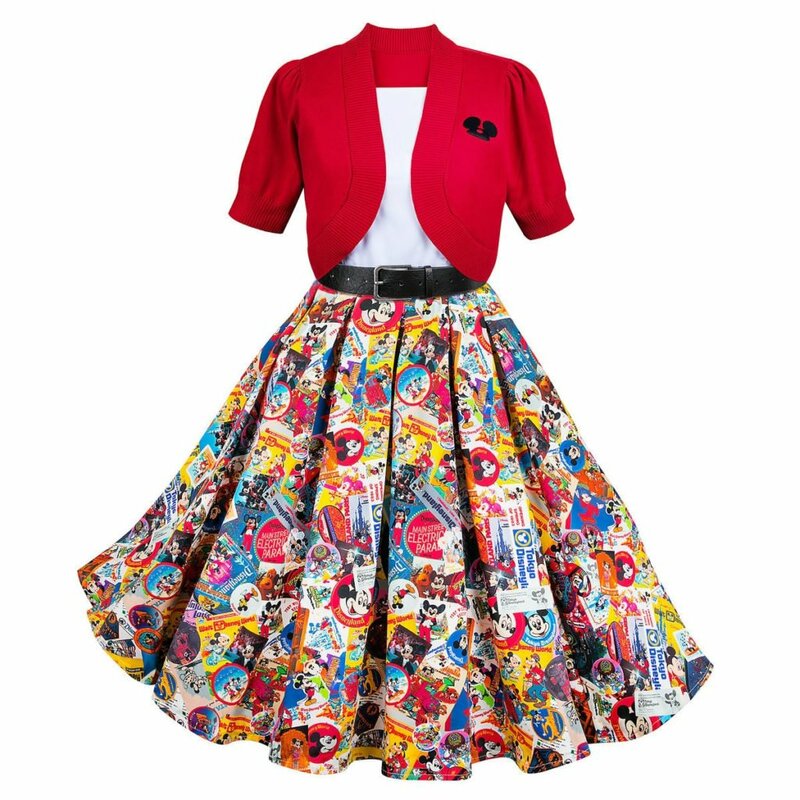 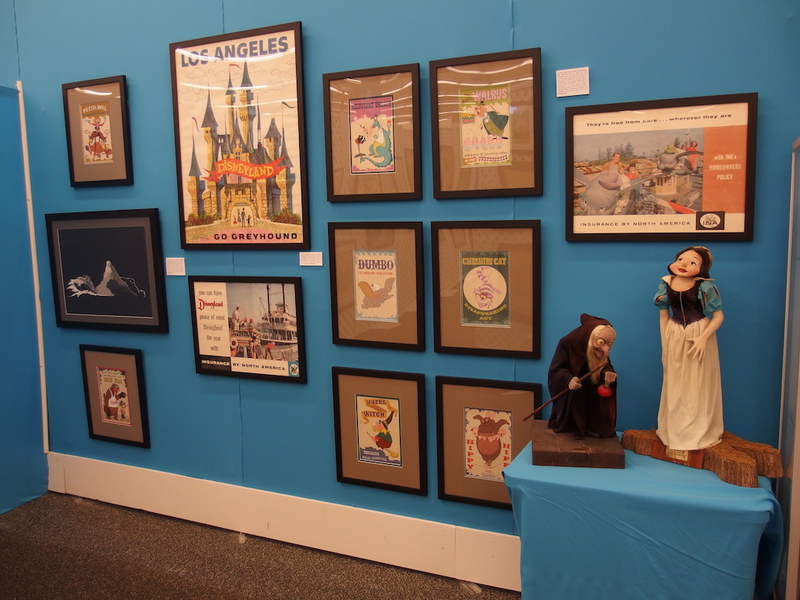 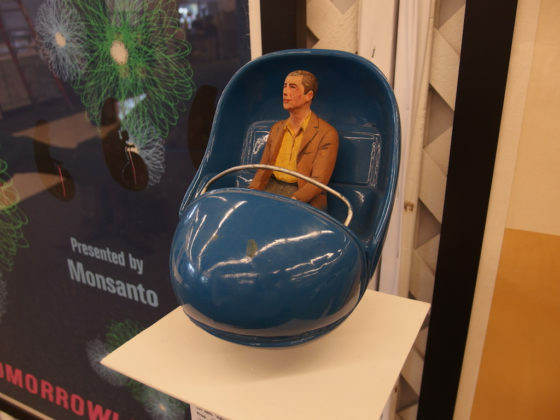 “In many ways,” collector Richard Kraft says, “I feel like I never really owned these marvels.” What began as a way to fondly remember childhood trips to Disneyland with family became a shared obsession with son Nicky. 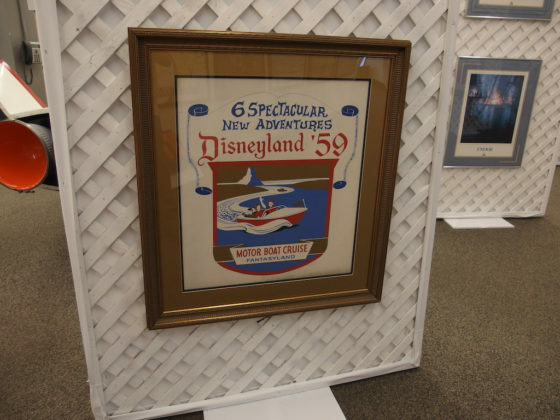 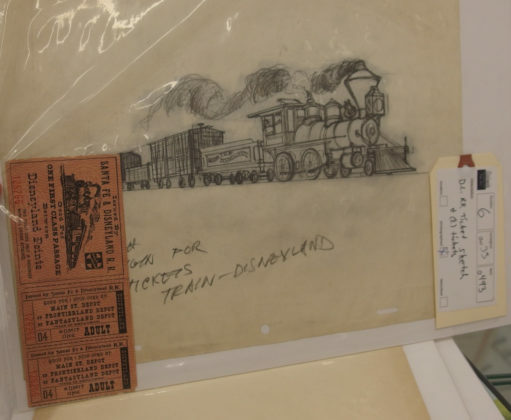 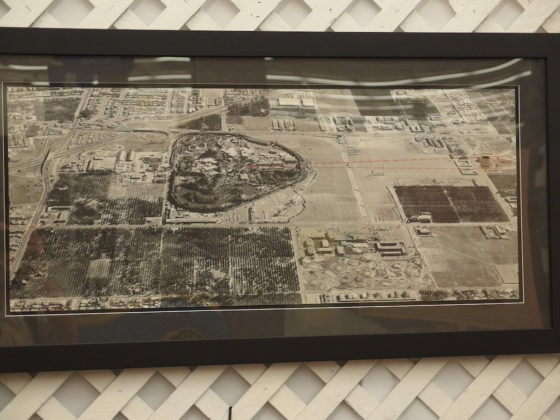 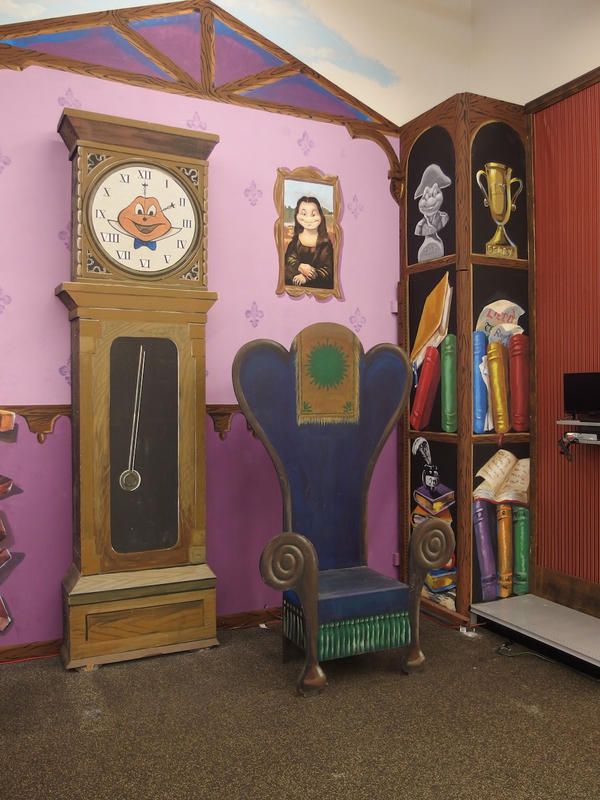 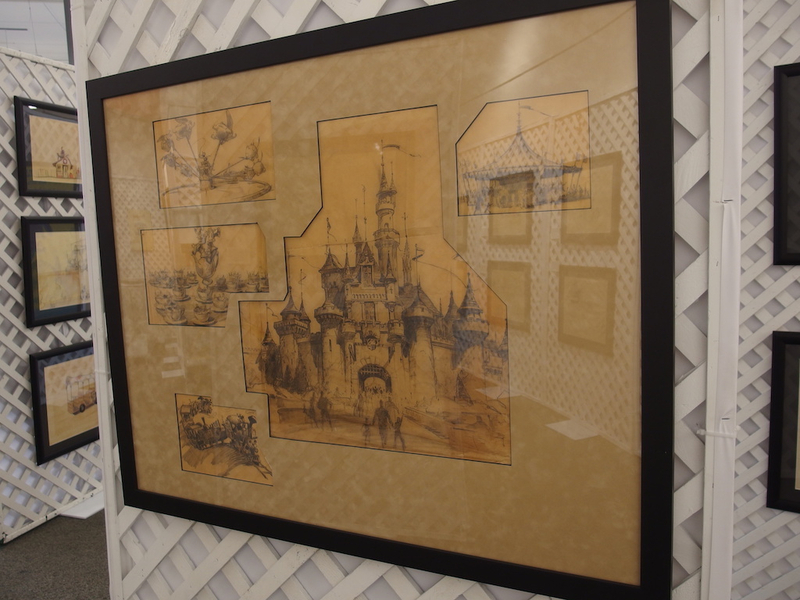 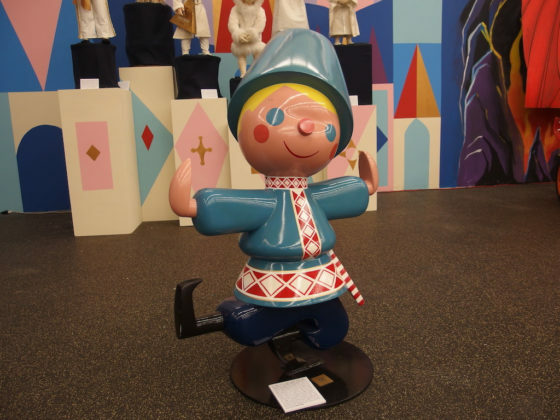 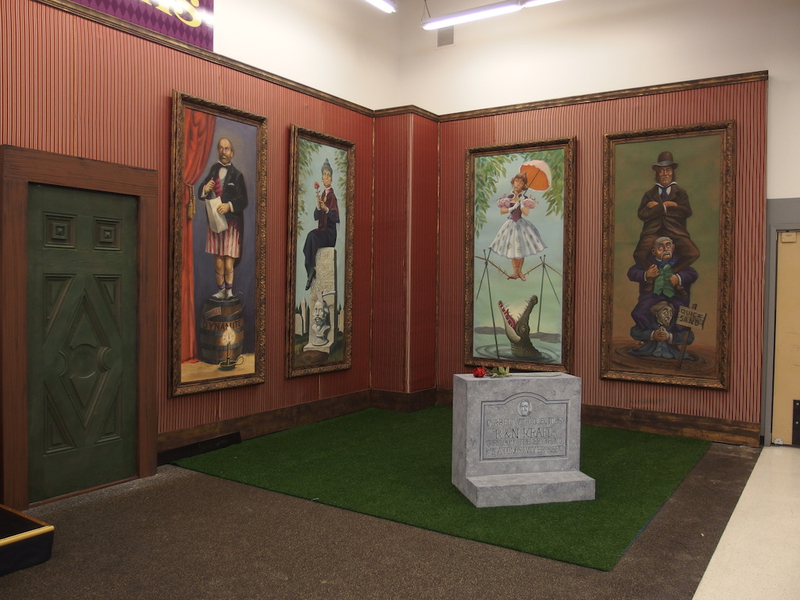 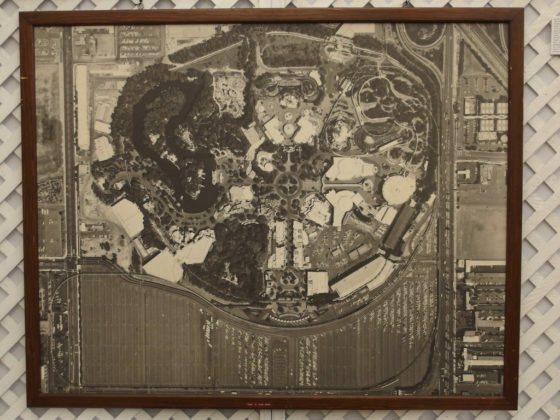 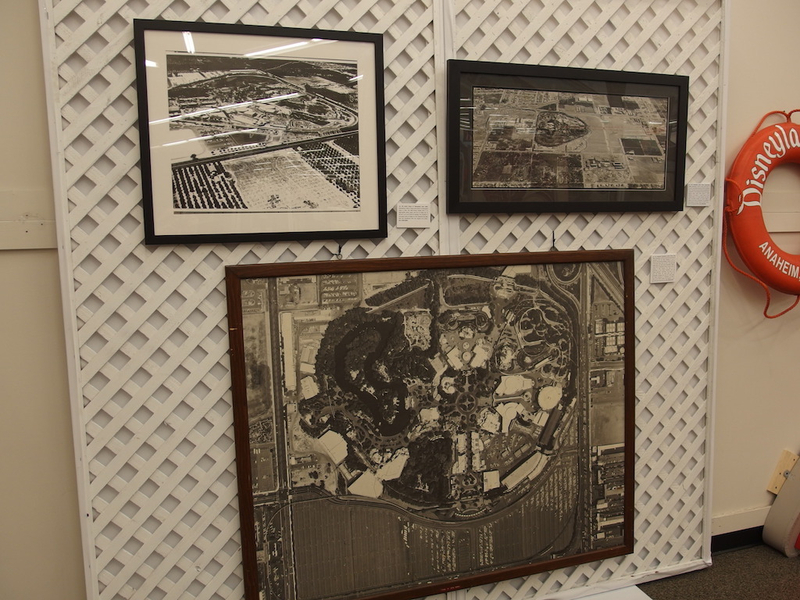 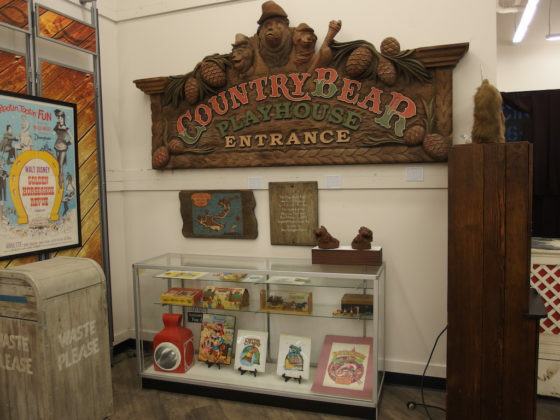 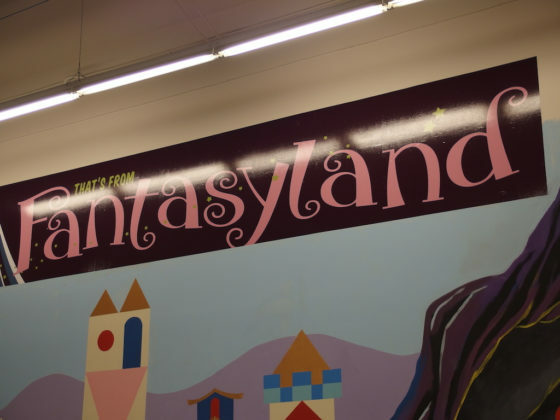 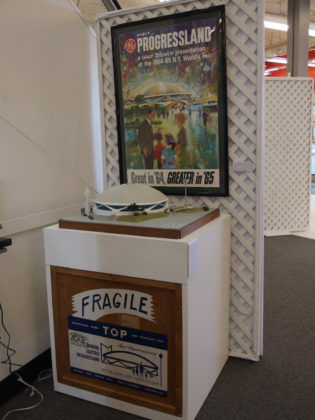 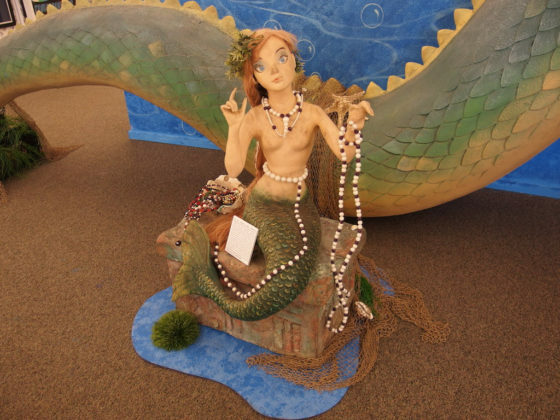 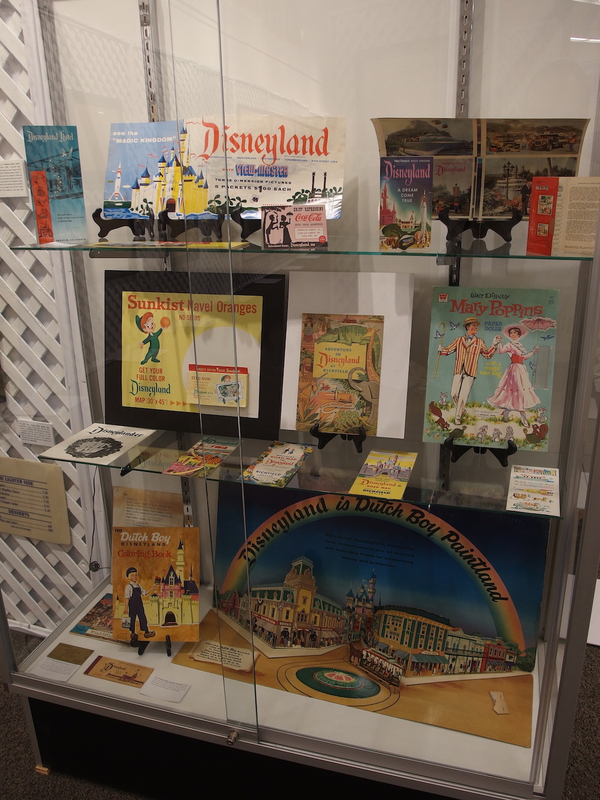 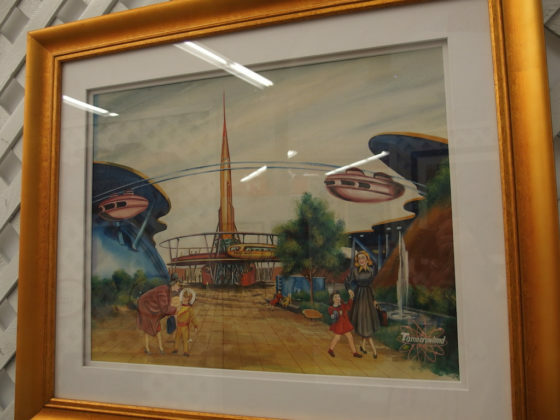 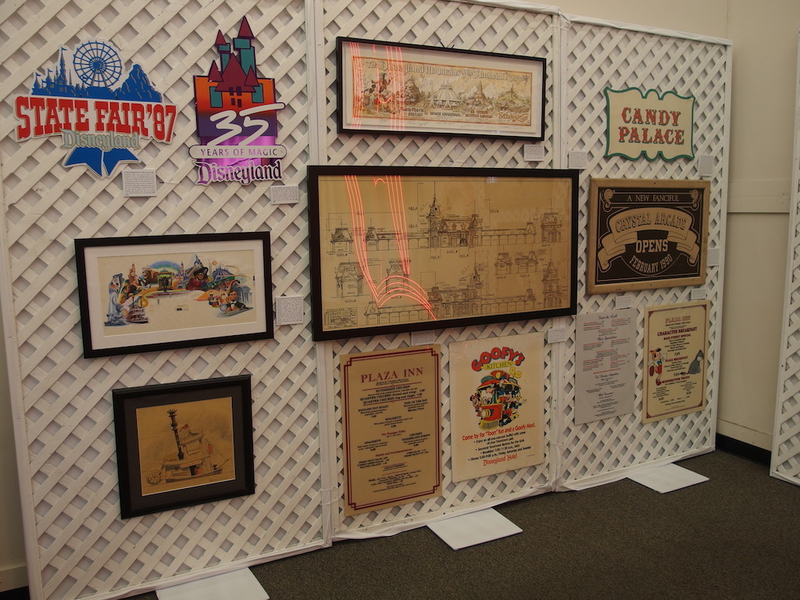 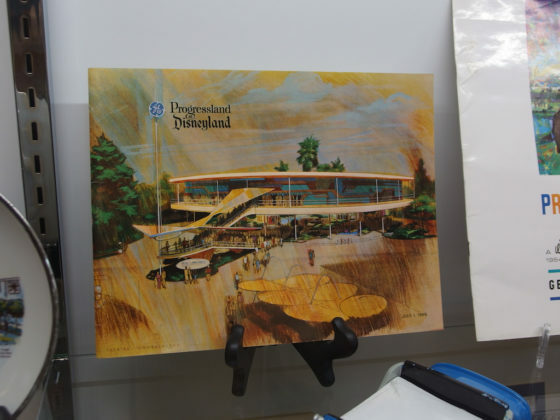 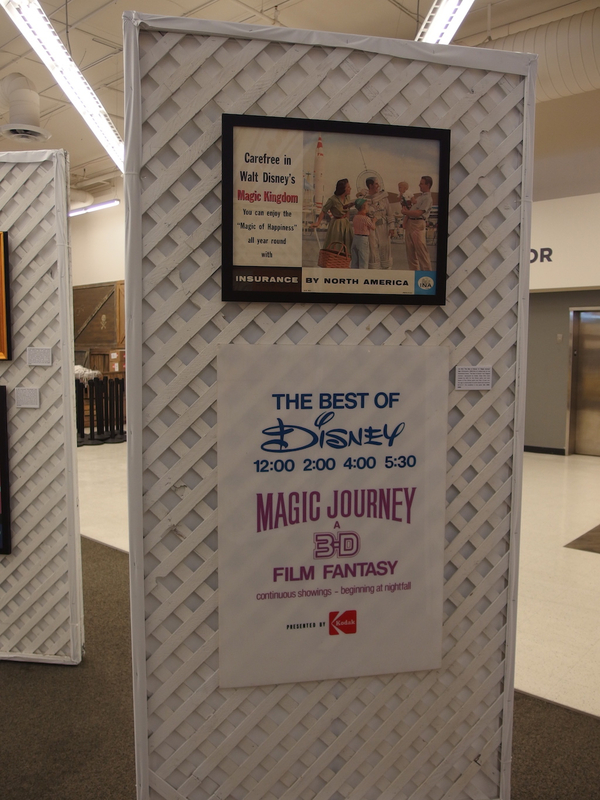 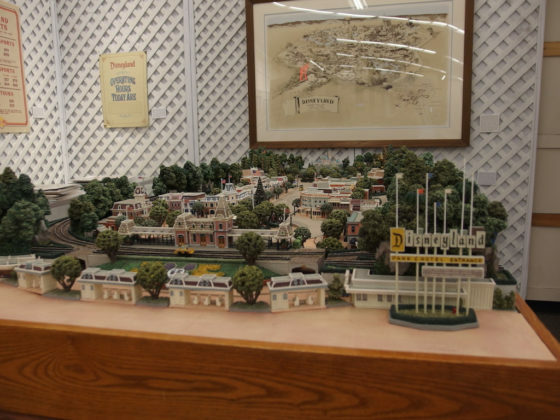 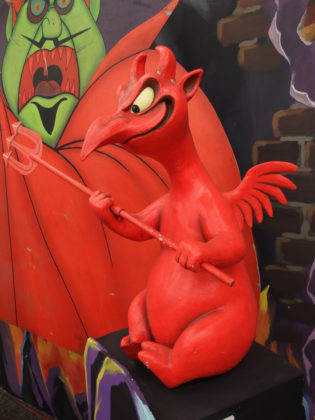 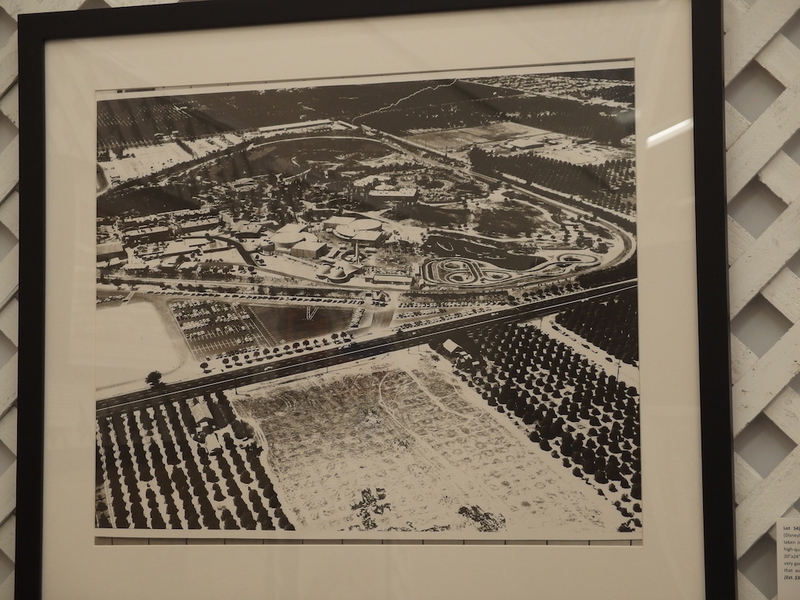 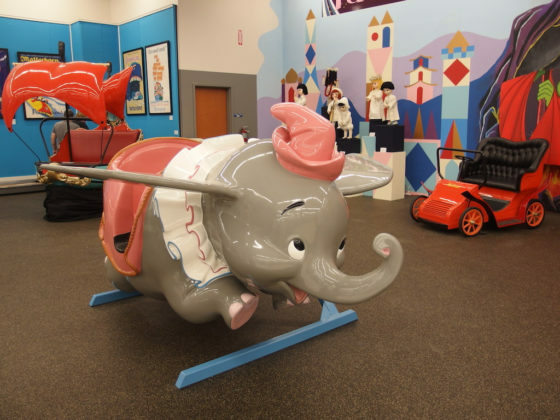 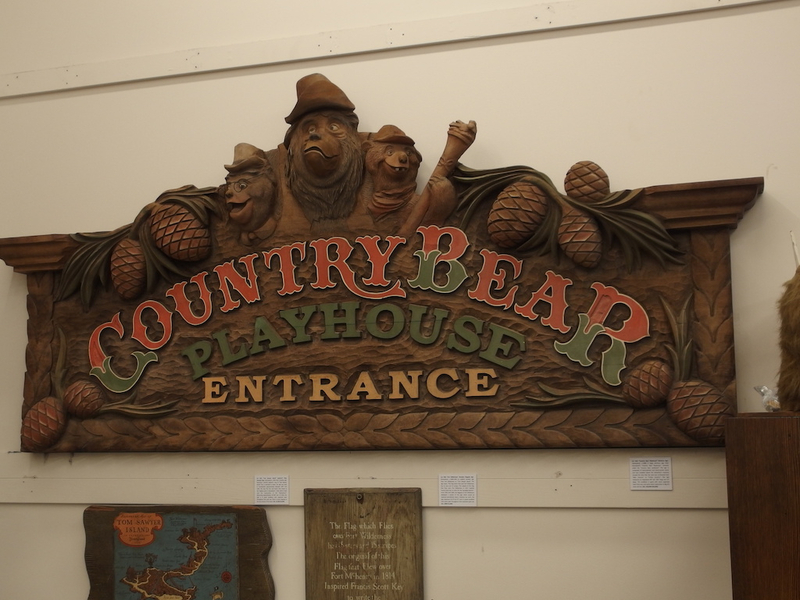 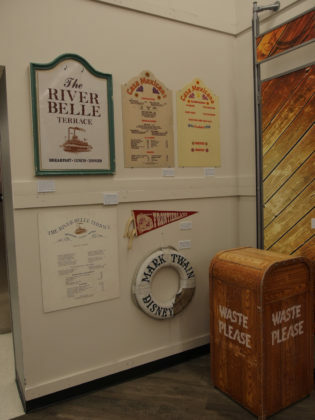 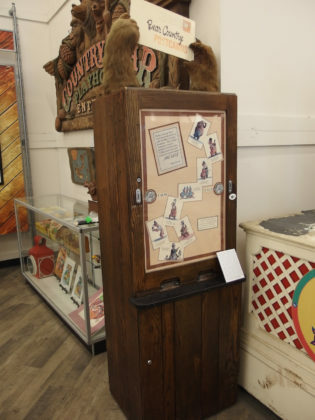 As the collection grew, so did Nicky, and rather than face an “empty nest” filled with innumerable artifacts of the Happiest Place on Earth, Kraft’s answer was to open a pop-up exhibit and auction. 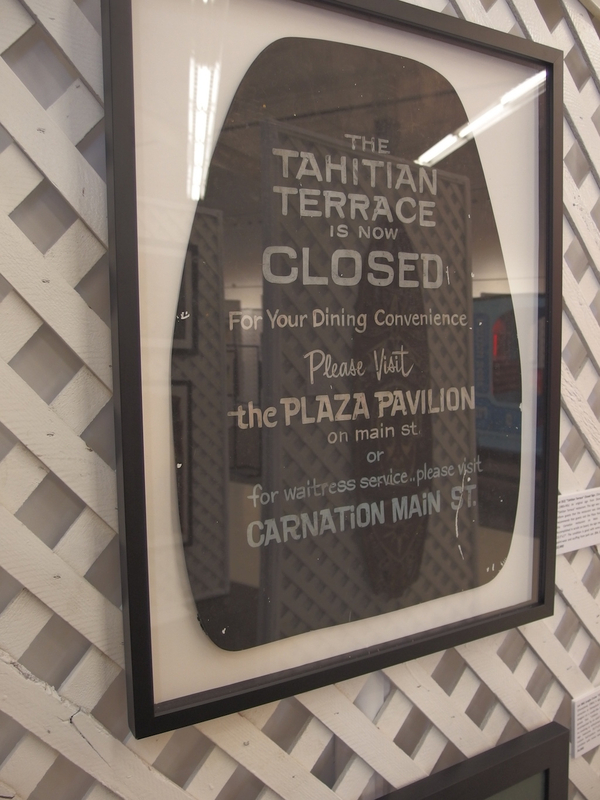 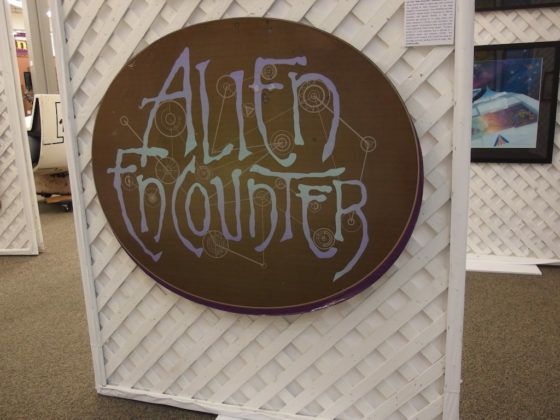 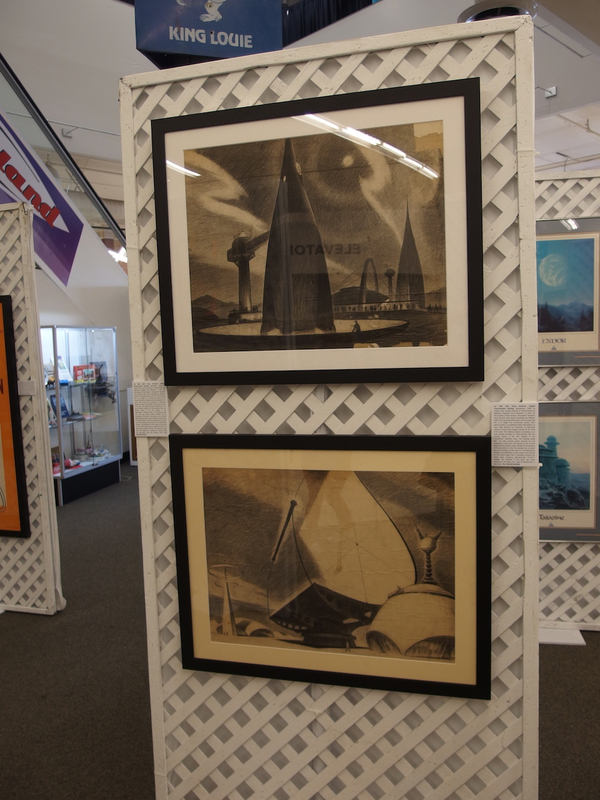 The exhibit, running Wednesdays through Sundays, August 1-26, and the auction, to be held August 25 and 26, is offered through the Van Eaton Galleries. 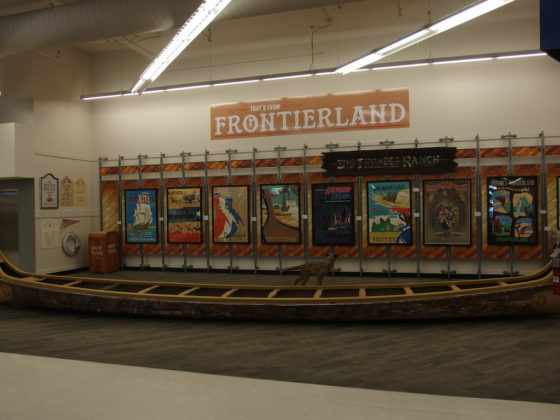 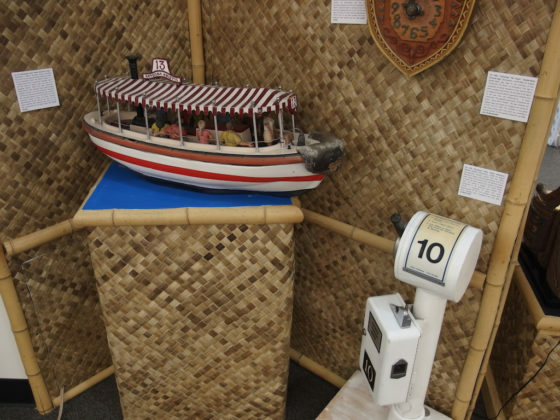 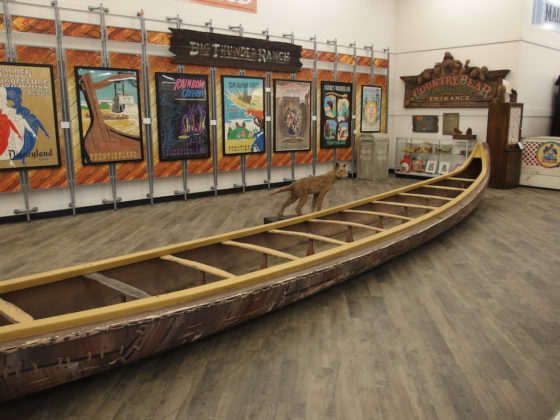 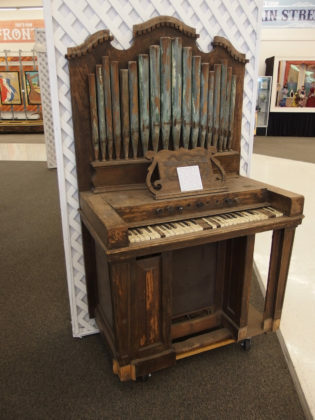 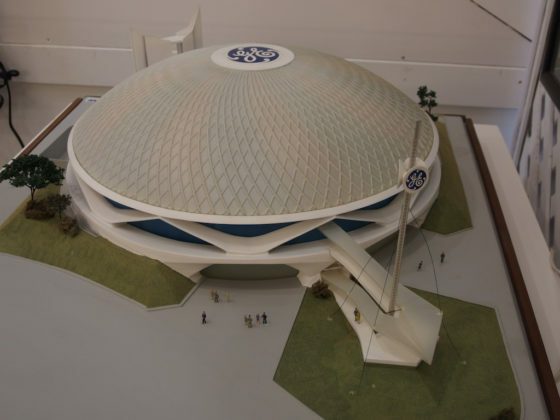 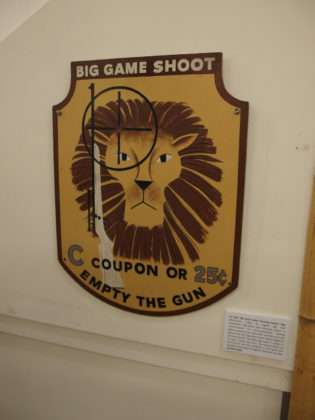 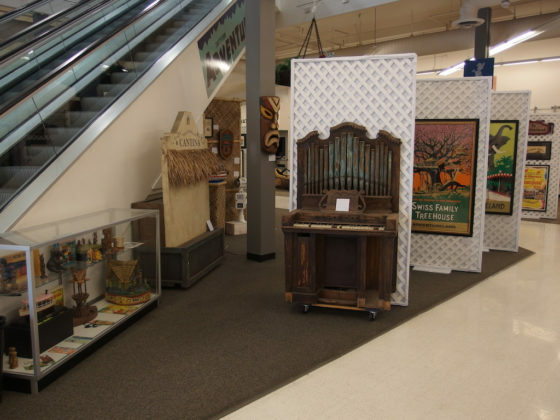 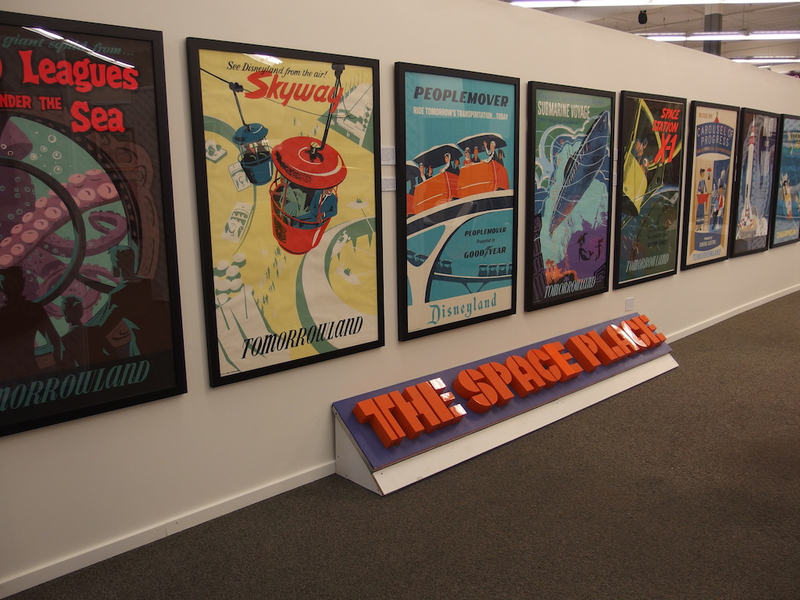 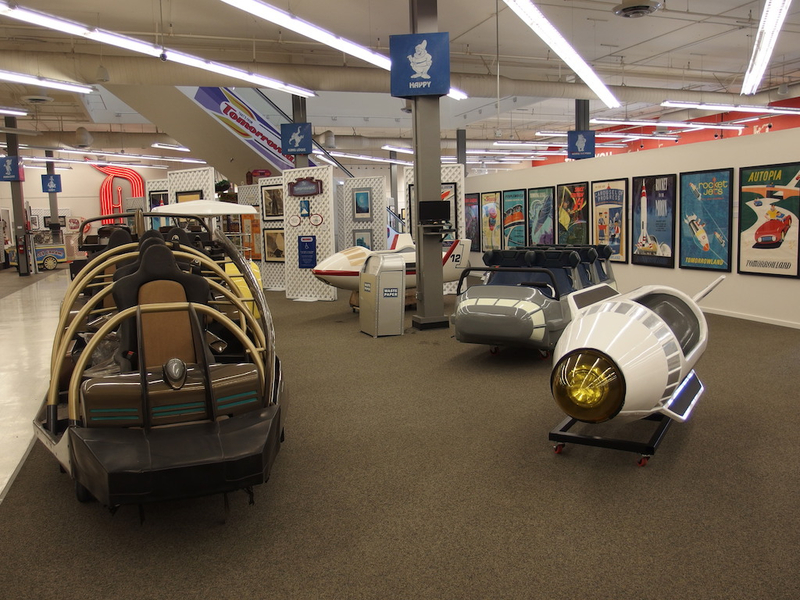 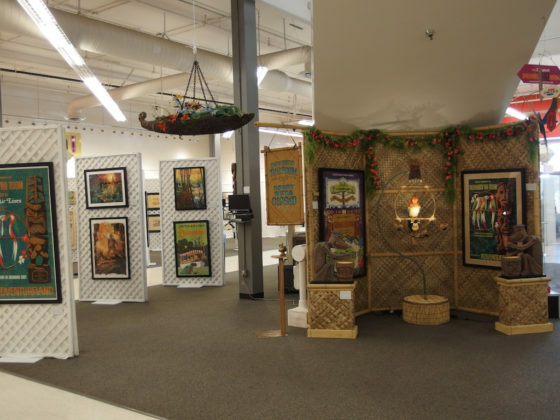 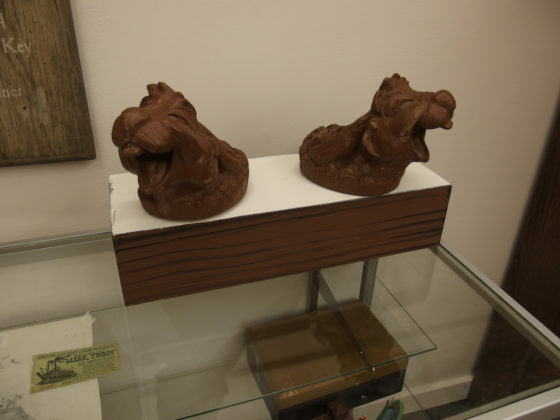 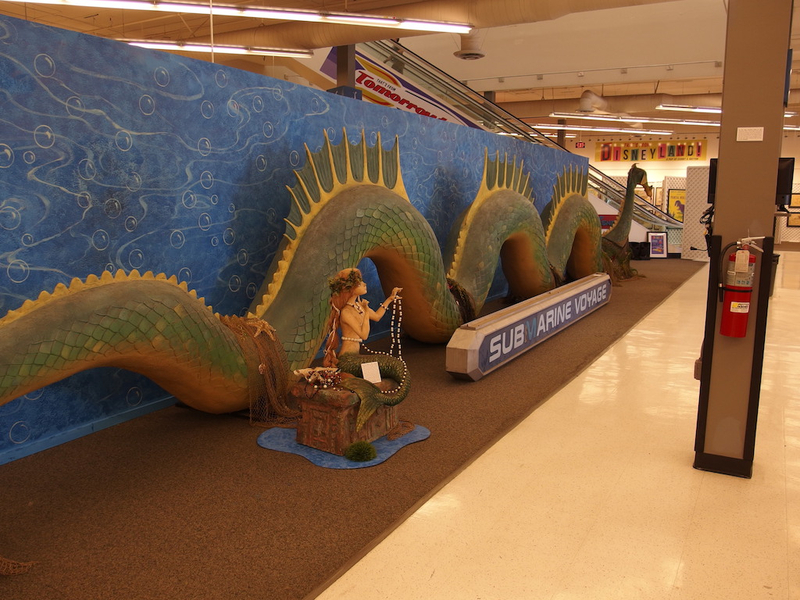 The exhibit is free, and fills a former sporting goods store at 13730 Riverside Drive in Sherman Oaks, California. 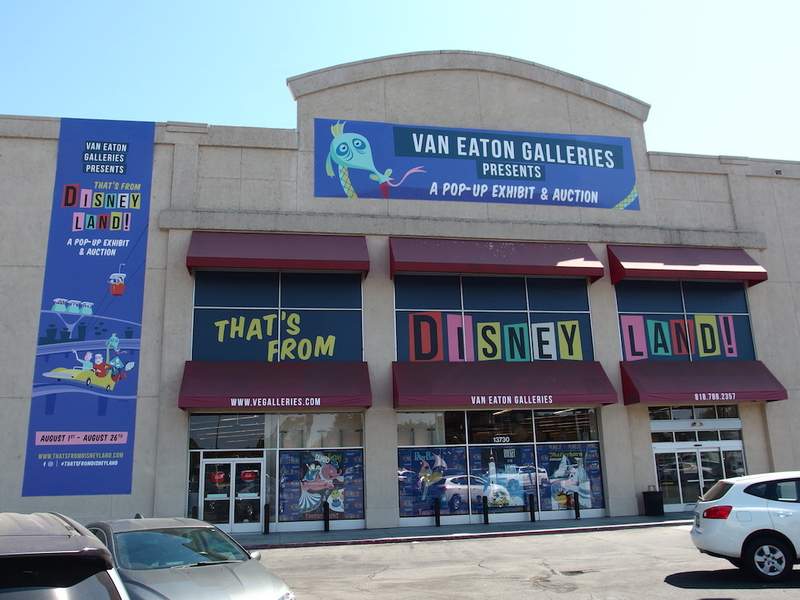 It is conveniently located next to Fashion Square Mall, just off the 101 freeway at Woodman Way. 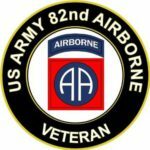 Over 750 lots will be offered at auction, in addition to an addendum called “Things That I Forget I Had” (literally—these are items that turned up in another storage unit). 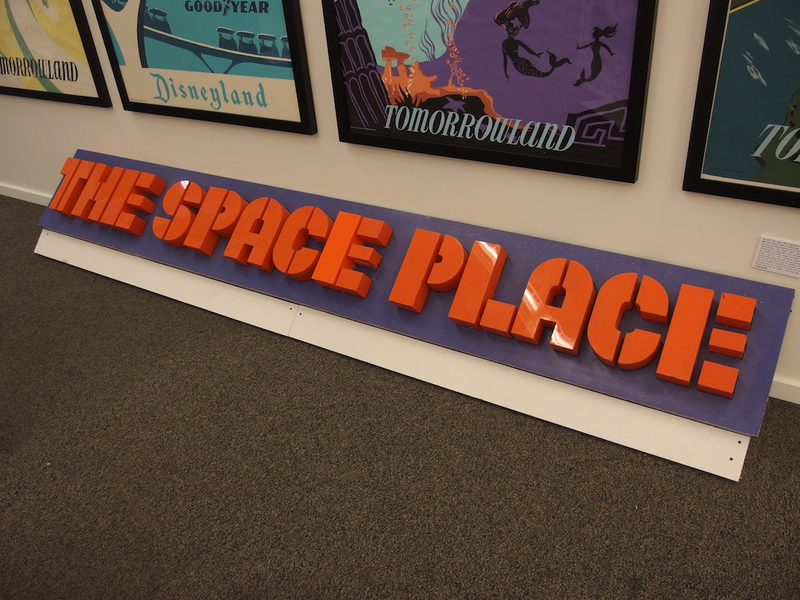 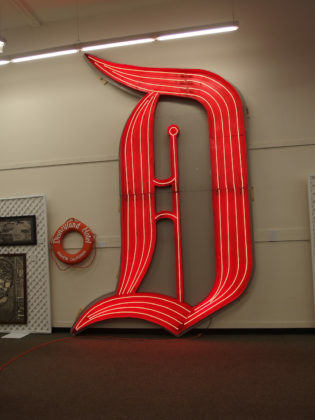 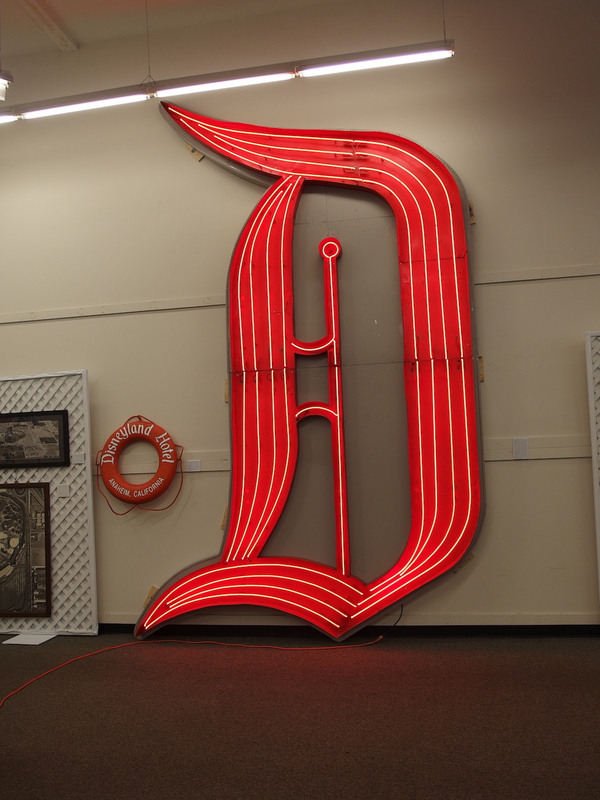 The largest is a sixteen-foot tall neon letter “D” that once graced the Disneyland Hotel. 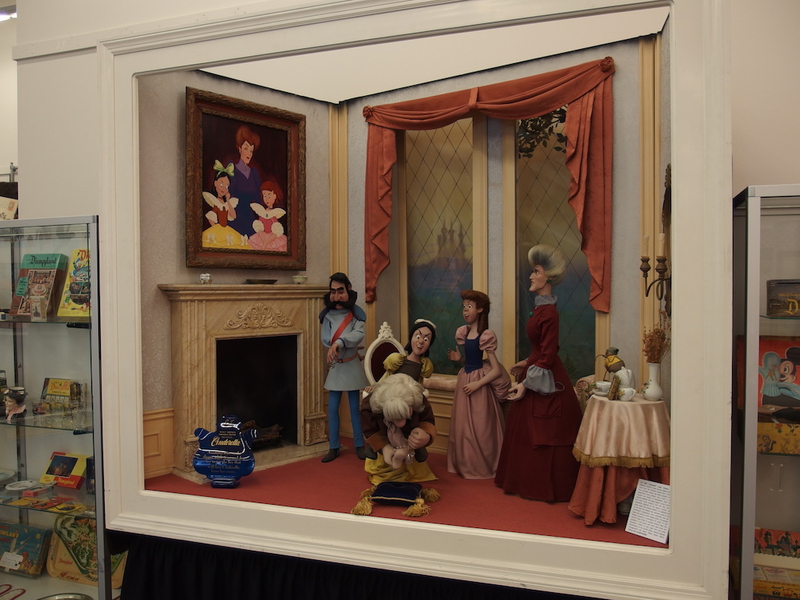 The smallest are detailed pewter figurines of characters from beloved attractions. 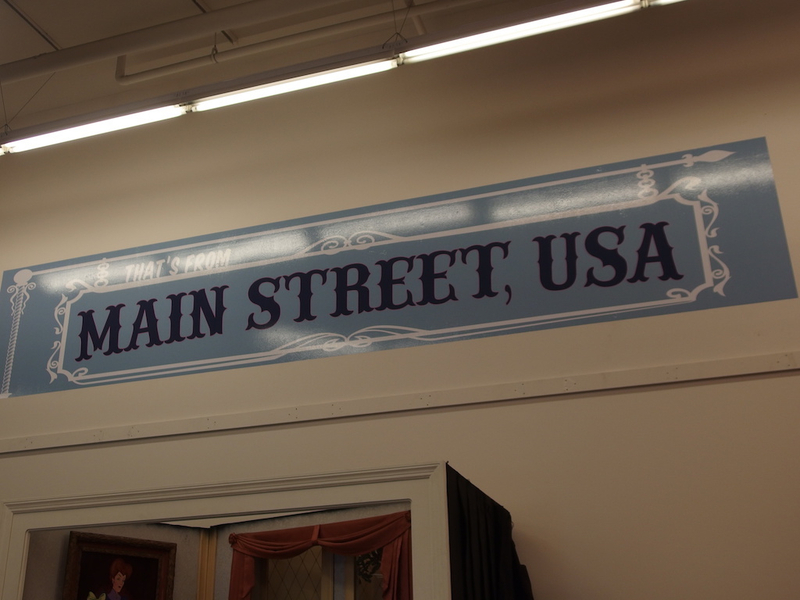 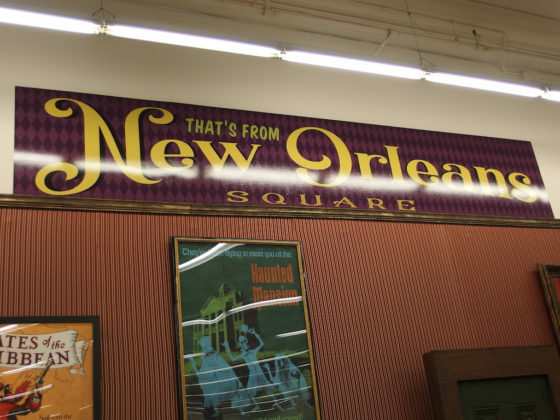 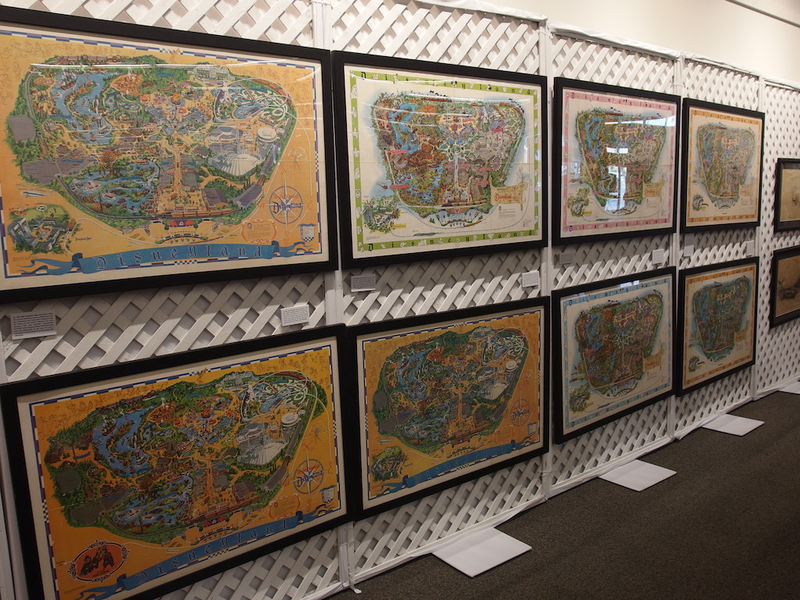 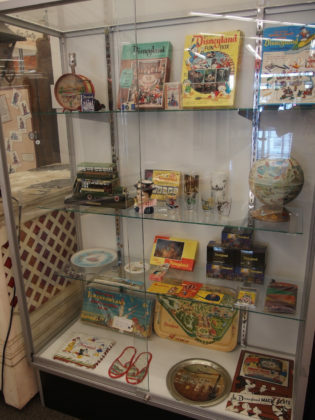 There are souvenirs galore, including wall maps, brochures, and one-of-a-kind collectibles. 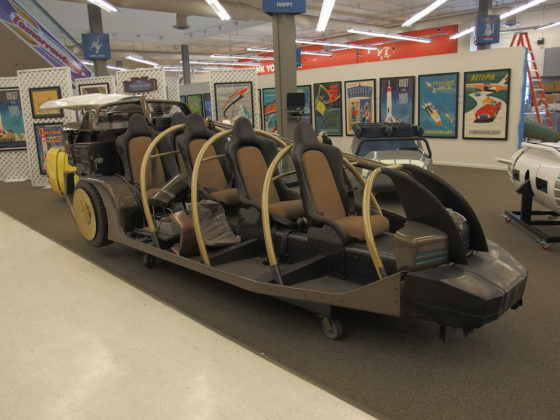 Of special interest are many original ride vehicles. 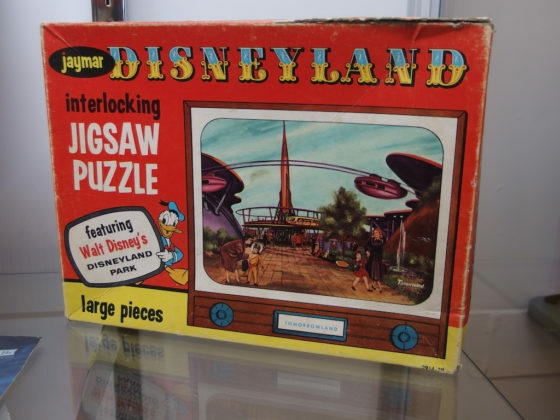 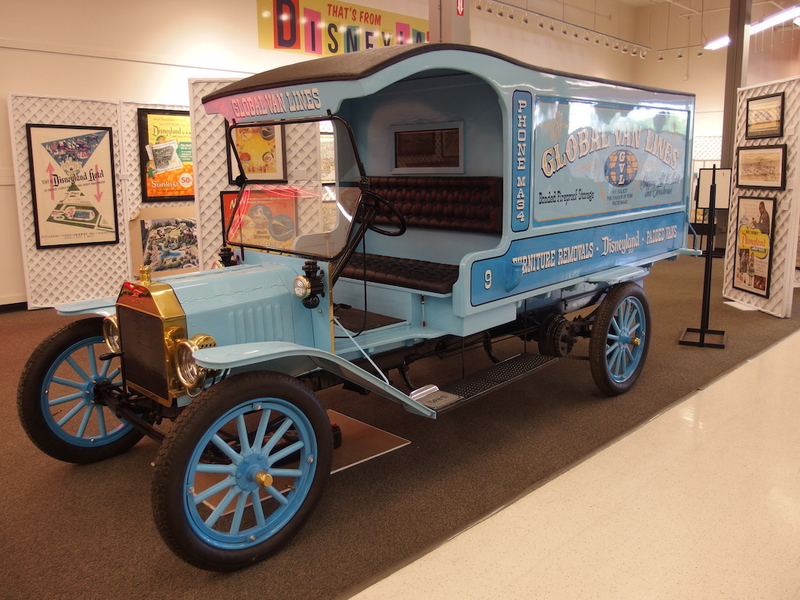 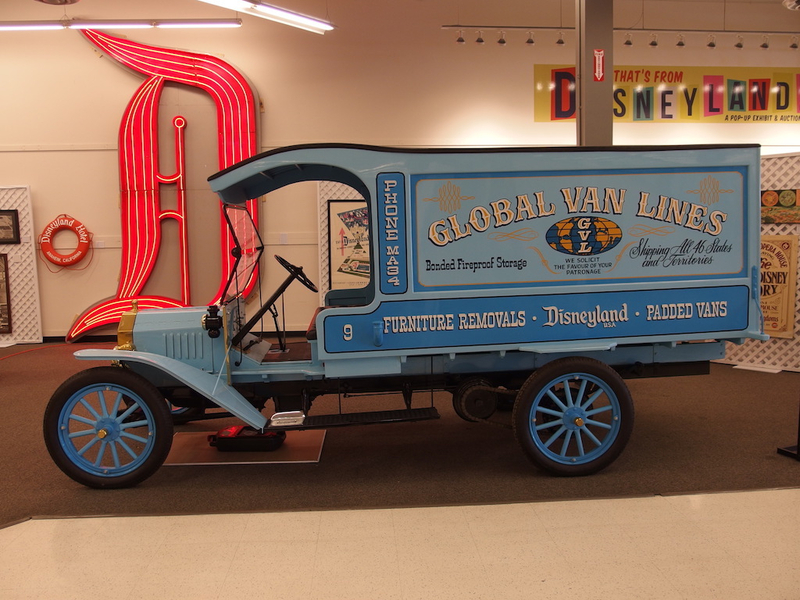 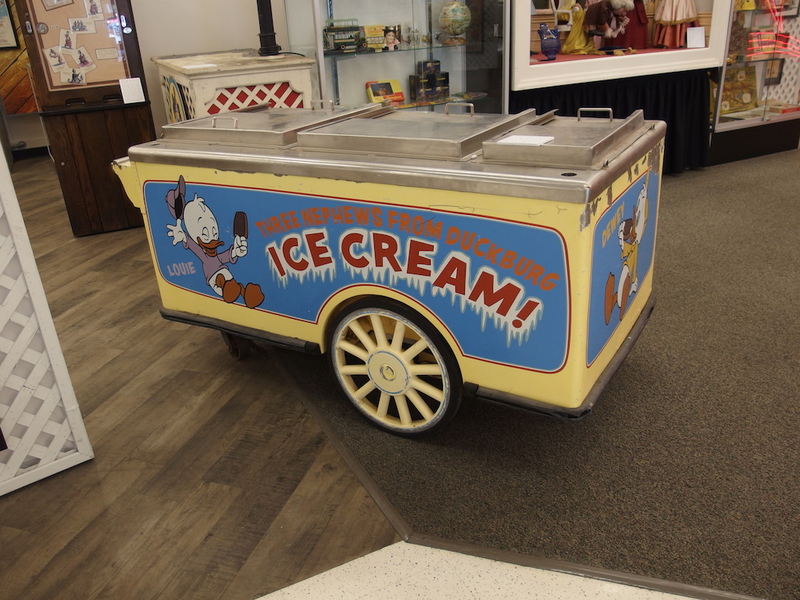 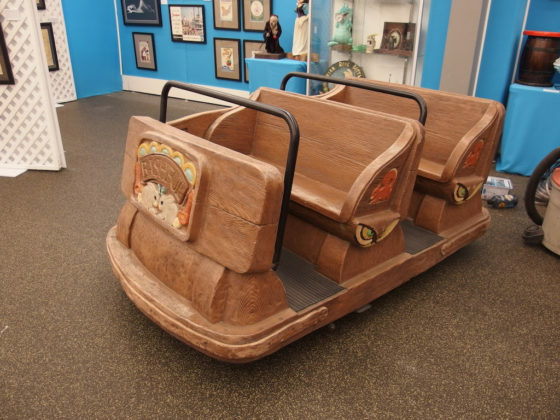 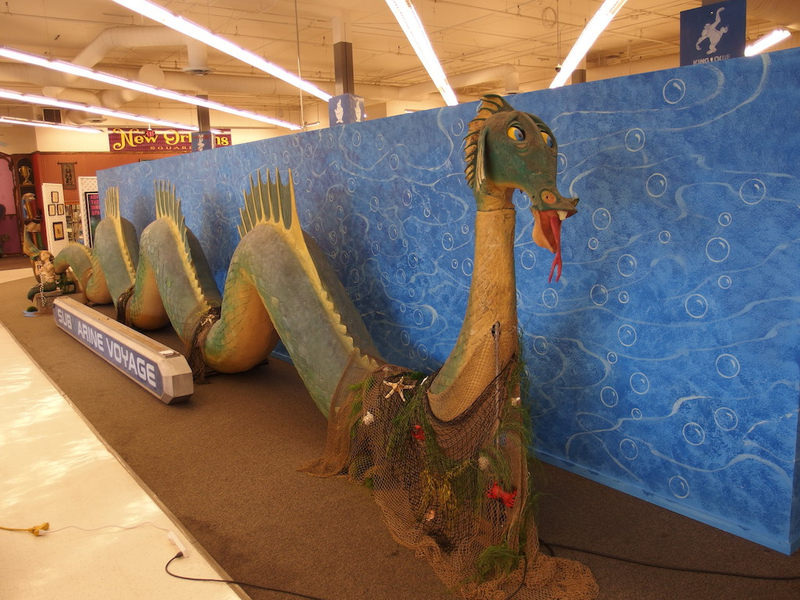 Rarities include a sea serpent from the 1959 Submarine Voyage (along with one of the mermaids), the Global Van Lines turn-of-the-century moving van (fully restored and street legal), and a presentation model of Disney’s World’s Fair exhibit for General Electric, Progressland (which we know as the Carousel of Progress). 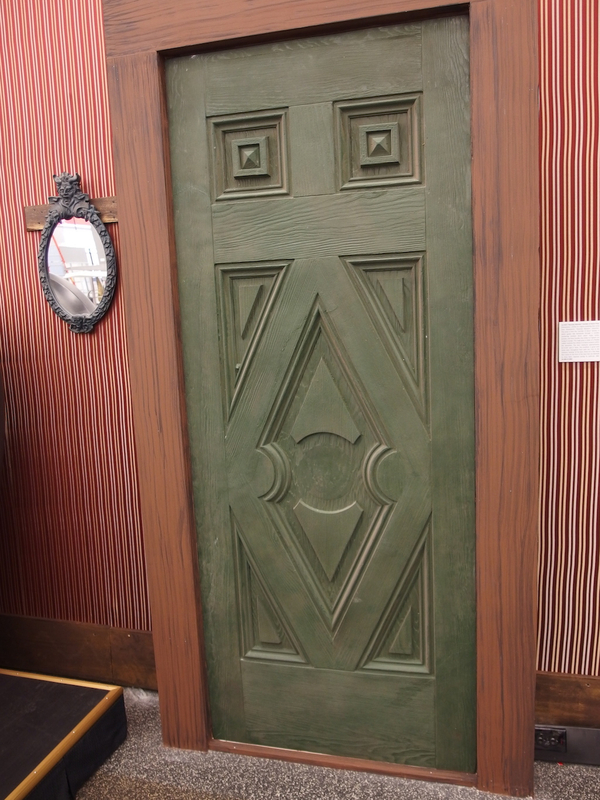 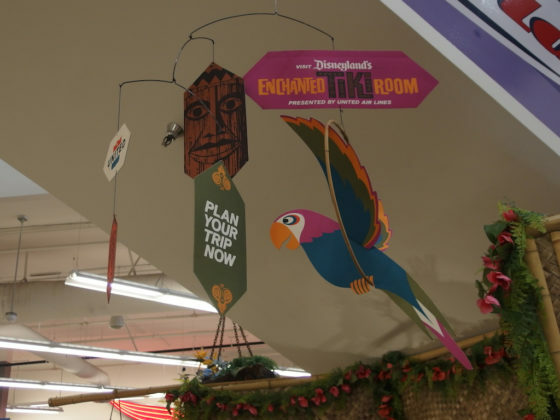 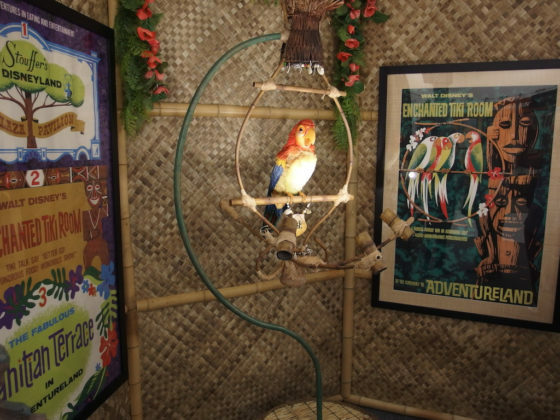 The Tiki Room’s Jose is there (singing and joking), along with a set of stretching portraits from the Haunted Mansion. 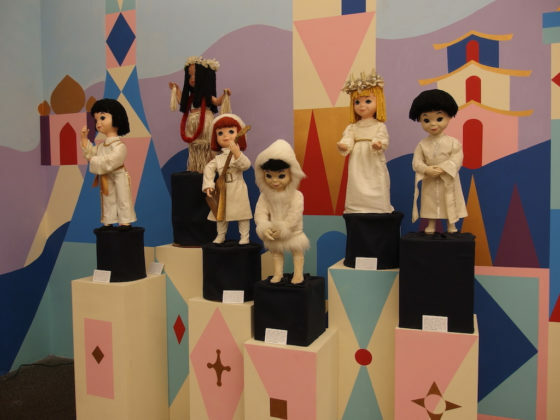 There are small world dolls and a devilish fellow from Mr. Toad’s Wild Ride. 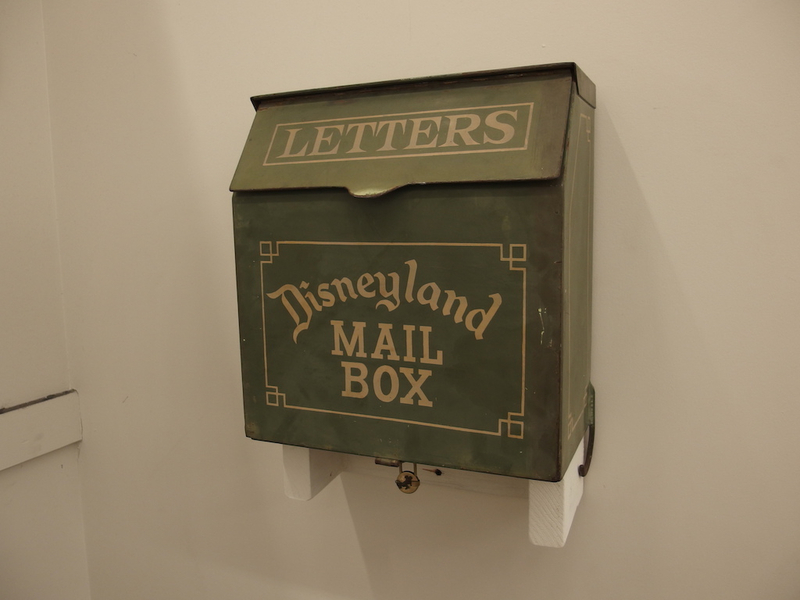 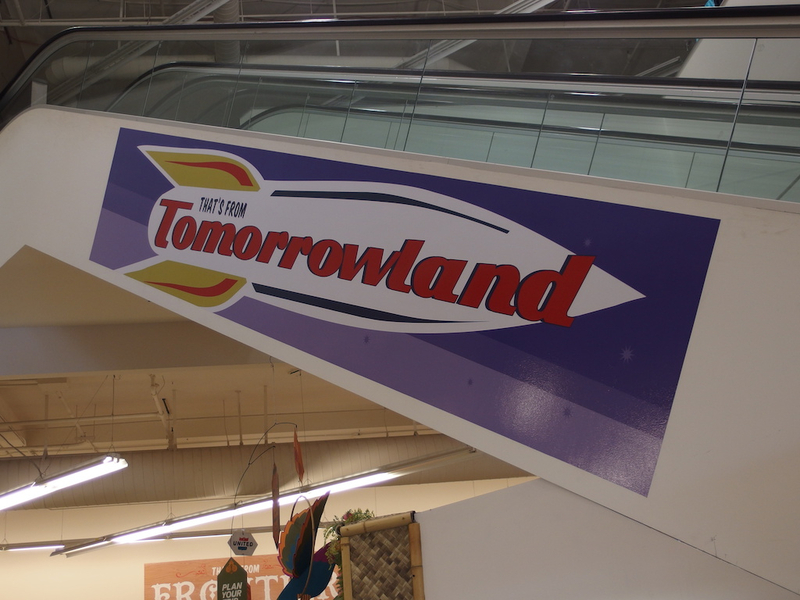 A few items from other Disney theme parks have slipped in as well. 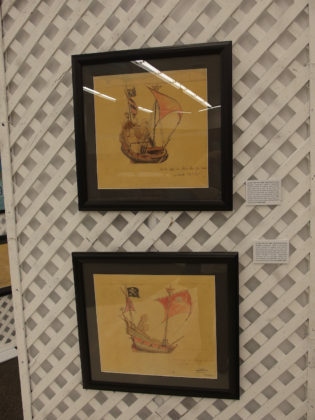 A portion of the proceeds from the exhibit and auction will benefit charities devoted to Coffin-Siris Syndrome. Kraft’s four-year-old daughter Daisy was born with this rare genetic disorder, which causes physical and mental developmental delays. August 24: A Whole New World of Alan Mencken concert. During the exhibit the space will also host free Arts & Kraftland activities every Saturday and Sunday on August 5, 11, 12, 18 and 19. 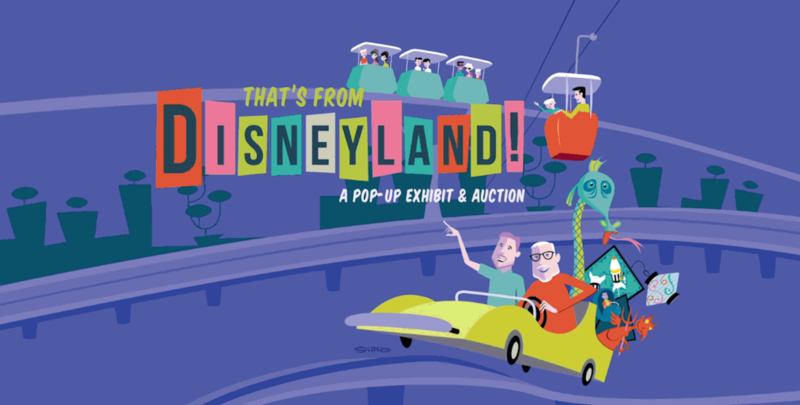 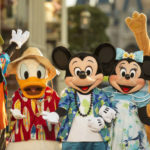 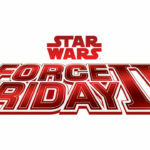 For updates and ticket information visit ThatsFromDisneyland.com.